Getting an instant price quote is easy and a great way to see just how affordable Campus Carriers is. It’s simple, we provide affordable, hassle-free moving and summer storage for college students. All it takes is 5 minutes. 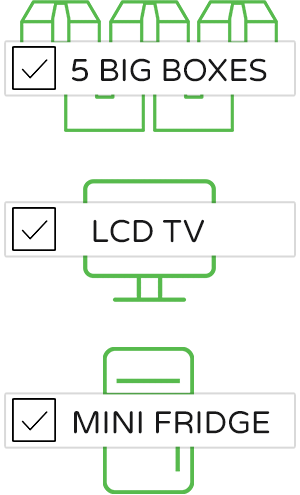 Choose the items you’d like to store, choose a pick up date and time that works for you, enter your basic info and you’re done. We’ll come directly to your residence hall room on the date and time you selected for us to pick up your items. You don’t have to lift a finger. Your items are transported to our local and secure facility where they are organized, monitored and await delivery back to you at the end of the summer (or longer). Over the summer, you choose a delivery date and time that works best for you. We’ll be at your new location on or off campus at the time you selected with all of your items safely in hand. 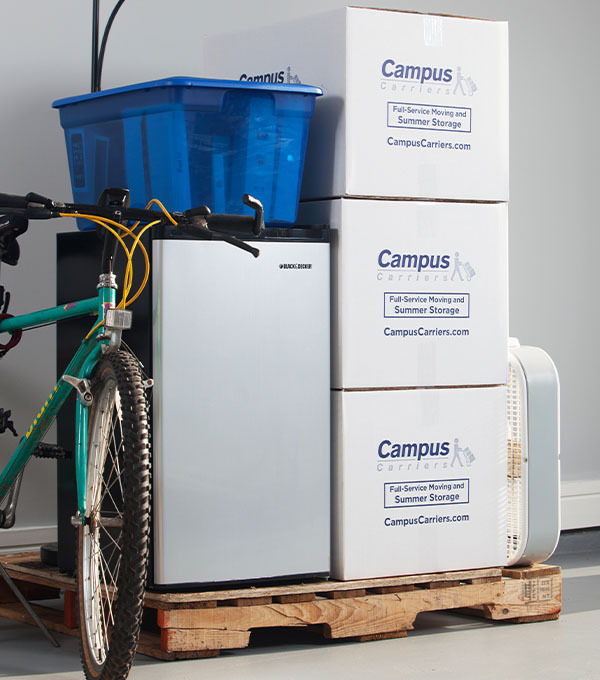 When you choose Campus Carriers you are choosing the most trusted name for summer storage at your university. With years of experience and thousands of happy customers you can’t go wrong when you choose Campus Carriers for all of your summer storage needs. "We have used the service for 2 years now and your customer service and flexibility has been fantastic; very friendly and easy to deal with. Thank you for doing a great job." You only pay for what you store with us. 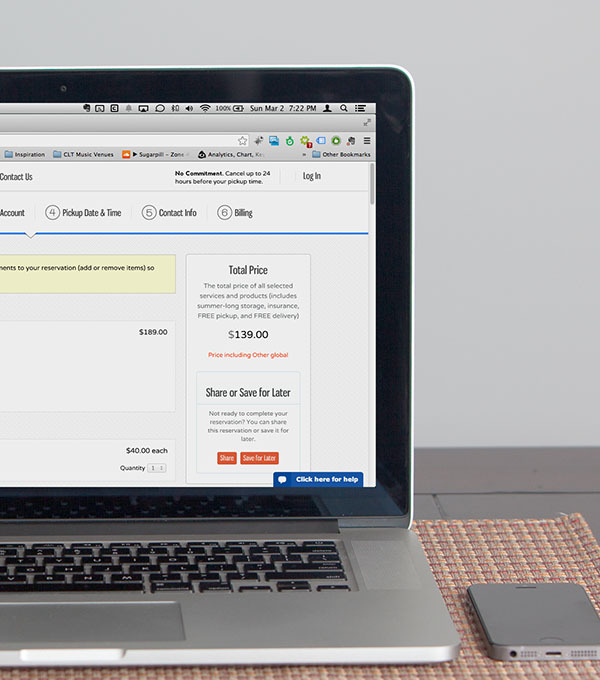 NO CANCELLATION FEES as long as you cancel 7 days prior to your pick up time. We'll give you a FULL refund. Why worry about what you’ll be doing with your stuff when you should be studying? Why put up with traffic on campus and limited parking and loading space? Why wait on long lines at the elevators and congestion down the stairs? Why cram everything into your car or truck and have to find a place to put it all...just to have to bring it ALL back next year? We provide quality boxes and packing supplies for you to pack your smaller items in. We also store all of your larger items like mini-fridges, TVs, bikes, plastic bins, and pretty much everything else you'd have in your dorm room or apartment. We pick up your items directly from your room - you don’t lift a thing. We safely store your items for the entire summer (or longer). We deliver your items back to you, on or off-campus, before classes begin in the fall.